This morning, we were delighted to hear one of the males performing his repertoire. 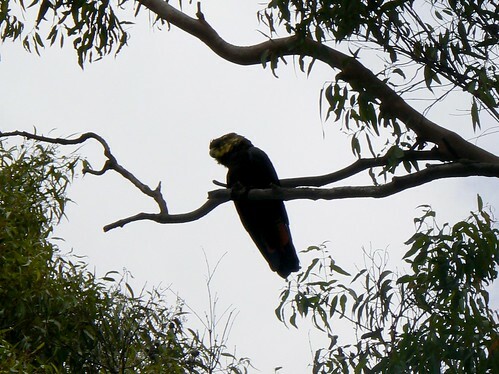 It included the calls of an Eastern Rosella (Platycercus eximius), an Eastern Whipbird (Psopodes olivaceus), an Australian Magpie (Gymnorhina tibicen), a car alarm, the beep of an electronic car-key, and the frogs in the creek behind our house, Crinia signifera. The Superb Lyrebird is quite large, the male being up to 100cm in length, including tale. They fossick in the leaf litter of moist forests in South-Eastern Australia, eating insects, worms and spiders. They roost in trees at night. Their mimicry is, of course, all about getting girls. The male builds a mound to act as a stage where he throws his tale over his head, shakes it, and performs for half an hour or more. The complexity of his repertoire is directly proportional to his mating success. The accuracy of their mimicry has to be heard to be believed, so here is a video of one being interviewed by David Attenborough. A break from uni and work has allowed me the delight of reading science just for fun. Two books (one I've finished, the other I've just started) are particularly recommended. 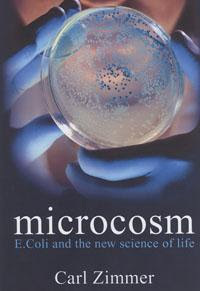 The first is "Microcosm: E. coli and the new science of life" by Carl Zimmer. Zimmer is a blogger (The Loom, associated with Discover Magazine) and science journalist, whose previous books include "Evolution: The Triumph of an Idea" and "Soul Made Flesh". "Microcosm" gives a thorough overview of the evolution and functional diversity of E. coli, exploring its relation to humans and other species (as friend and foe) and the history of our understanding of the bacterium. But more significantly, Zimmer uses E. coli as a springboard to survey much beside, including cell biology, horizontal gene transfer, creationism (and its new disguise, "intelligent design"), astrobiology and the role of viruses in genetic diversity. It is written with passion and flair, and includes a comprehensive index, endnotes and bibliography, giving it great value for both biologists and general readers. Recently, Zimmer gave a lecture on his book, podcast by Scientific American. Listen to Part 1 and Part 2. The second book, of which I'm only just scratching the surface, I will write about in more detail when I've finished reading. 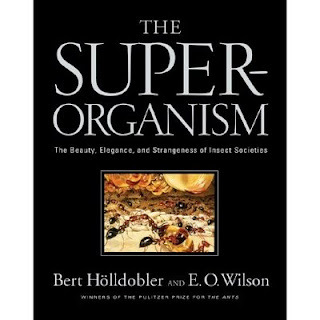 It's "The Superorganism: The Beauty, Elegance and Strangeness of Insect Societies"by Bert Hölldobler and the wondrous E.O. Wilson. One of Hölldobler and Wilson's previous books, a massive monograph titled "The Ants", won them a Pulitzer Prize. This book mainly focuses on ants in its exploration of eusocial species. The book throws the reader head-first into a reignited debate on group selection. The understated style belies what is really quite controversial material. Christie Lynn, at Observations of a Nerd (a wonderful science blog.... do check it out!) has "tagged me". 2. According to Myers-Briggs, I am ENTJ (but I verge on the "I"); according to the "Big Five personality traits," I score high on openness, conscientiousness and agreeableness, medium on extraversion, and low on neuroticism. 3. Many years ago, before he took off in Hollywood, Russell Crowe vomited on my shoes at a party. 4. When I was thirteen, I was forced to do a forward dive roll off a little springboard and onto a mat during P.E. I warned the P.E. teacher that I couldn't do it. I told her I'd break my arm. She wouldn't listen. So I did it. And I broke both arms. Ha! That showed her. 5. I get very upset by weeds and have to make a conscious effort not to let them get me down when I catch the train and see along the sides of the tracks the jungles of morning glory, privet, lantana, ivy, pampas, etc, etc, etc. I have a very unscientific fantasy of a magic genetic bullet that kills every invasive exotic plant in Australia, although I would have exemptions for food crops and various exotic plants that some people, for reasons that elude me, like to grow in their gardens. 6. The most magical moment I've had when travelling was in Florence. I climbed the long, winding staircase to the top of Il Duomo late in the afternoon, and climbed out onto the balcony at dusk. The Tuscan hills were laid out in extraordinary colour, multiple hues of pastel blues, pinks, golds. And then, just as I was gazing out in the silence of the evening, the bells of the various cathedrals and churches of Florence began. They were out of synch, each tuned differently and varying in volume and distance, so it was a beautiful cacophony. When the Duomo itself joined in, it became deafening. Magnificent. Become a "Follower" of my blog! Sounds a little disciple-like, doesn't it? Mind you, "fan" isn't much better. Anyway, you'll see on the top left of this page a little widget that allows blog readers to indicate (either anonymously or using their online name) they're following the blog. The idea is that by showing that this is a screamingly popular site (not that it is, but I do have plans to rule the world), I can get scads more readers, which would be jolly. It also allows you to be notified of updates to any Blogspot blog you're following. The contrast between Here, in summer, and There, in winter, demonstrates the sort of extremes plants must tolerate in different ecosystems. 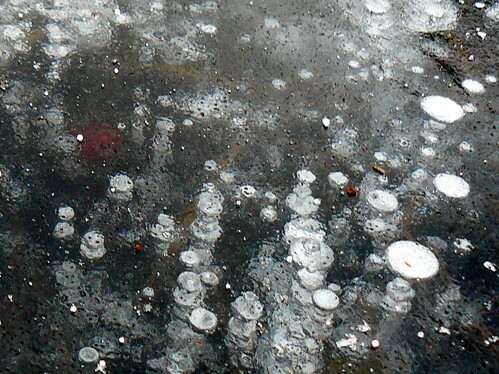 I was fascinated by the sight in the Netherlands of plants coated in frost, and indeed, frozen in solid ice. No idea of species, I'm afraid. This bush has berries around 7mm in diameter. Now, if you're from somewhere that has winters like these, you probably think I'm a parochial git for being so entranced by the novelty of plants coping with a serious winter. But from my balmy (ahem.... meteorologically speaking), temperate Sydney perspective, it's simply extraordinary. A little reading (see below) on the subject has been very enlightening. 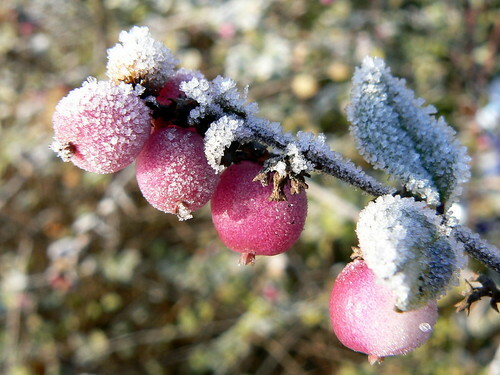 In order for plants to tolerate freezing, they must first undergo cold acclimation. A plant that has not been exposed to non-freezing cold might die at around -5C, while the same species that has been cold acclimatised can survive to -30C. This sort of temperature trigger is common in plants. Temperature changes induce flowering and seed production, and winter dormancy--as does changing day length. 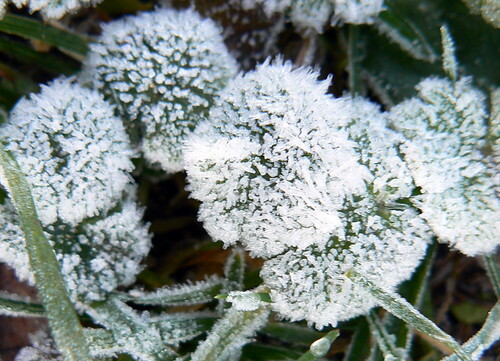 The damage caused to plants by freezing occurs in cell membranes, with ice crystals forming in the spaces between the plant cells. This draws fluid from within the cells to these intercellular spaces. As a result, the cells become dehydrated, and this in turn damages the membranes themselves. One form of this damage is to the lipids--fat-soluble molecules--which help provide cell membrane structure. Cells can also rupture as a result of ice forming adhesions between cell walls and membranes. Further injury to the plant is possibly caused by protein denaturation, where the complex three-dimensional folding structure of a protein molecule is disrupted. So how do some plants survive freezing temperatures and avoid this damage, and how does cold acclimation facilitate this? It's been established that cold acclimation can change gene expression--that is, it triggers the replication of particular genes within the plant and thus the production of specific enzymes (proteins that act as a catalyst in a chemical reaction). A range of genes examined have various effects: some encode for a protein that alters lipid composition while others stabilise proteins against freeze-induced denaturation. There are many other genes expressed as a result of cold acclimation whose roles are not yet determined. In addition, low temperatures trigger a signal transduction cascade--essentially a domino effect of proteins acting upon each other within a cell. Calcium pours into the cell cytoplasm, triggering processes that induce gene expression. None of this is going to have much import in my garden, whose main duty will be to stay alive during the increasing drought and heat of climate change. Still, looking at photos of chilly plants is a fine way to cool down! just before the snow dumped on it. Reference: Thomashow, M.F. 1999. Plant Cold Acclimation: Freezing Tolerance Genes and Regulatory Mechanisms. Annu. Rev. Plant Physiol. Plant Mol. Biol. 50:571–99. LINK. I just took these shots (not the best, but the birds were high up!) 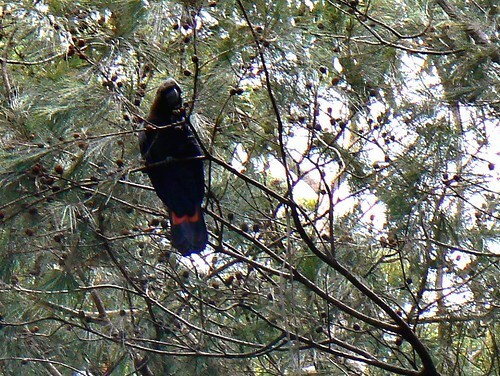 of Glossy Black-Cockatoos in our garden. They were a family with a squawking baby, feeding on the fruits of an Allocasuarina, their preferred diet. Calyptorhynchus lathami is variously listed as threatened and vulnerable, in large measure because its Allocasuarina habitat has been substantially reduced. The female has irregular yellow blotches on her head and a red tail panels, while the male lacks the yellow and has less red on the tail. According to Simpson and Day's Field Guide to the Birds of Australia, the species can be both nomadic and sedentary, and their description of the call, "soft, wailing 'tarr-red'," certainly seems accurate. I've planted a number of Allocasuarina in the garden to supplement the mature specimens already here, so I hope the Glossy Blacks will long find our home a good haven and she-oak restaurant. Darwin's Big Idea: a pilgrimage. We've just returned from a few weeks in Europe, visiting family in the Netherlands and London, and pottering about in Belgium and France. 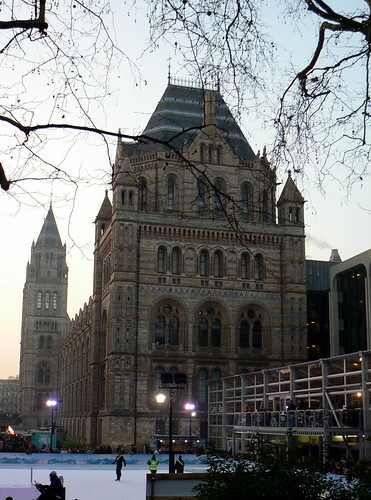 A highlight of the trip was a visit with my sister-in-law, Mirjam, to the Natural History Museum in London. 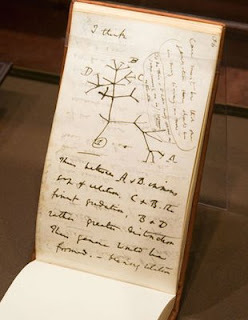 It is hosting a magnificent and comprehensive exhibition on the life and work of Charles Darwin, Darwin: Big Idea, Big Exhibition, celebrating the 200th anniversary of his birth and the 150th of the publication of “The Origin of Species”. It is just superb, with exhibits of his original notes and letters, of specimens he collected on the Beagle, of some of his extensive beetle collection, and masses of fossils and skeletons demonstrating the changes over time of various lineages. Of particular delight is a selection of herbarium sheets with some of his plant specimens. The NSW Herbarium has plenty of Banks and Solander's specimens which are worthy of adoration, but these are especially significant, as are Hookes' and Huxley's encouraging letters to Darwin when he was so apprehensive about the consequences of publishing “The Origin”. 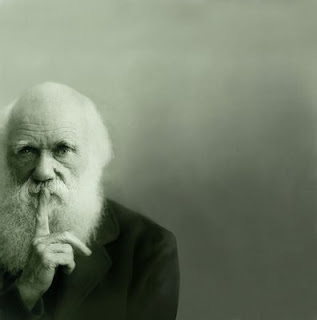 There are videos discussing exactly what a theory is, and another explaining the processes of natural and sexual selection. A reconstruction of his study in Down House—where he wrote his books—is so intimate, you expect to see him walk in and start examining his specimens. One very touching exhibit is a drawing made by one of his daughters. Apparently, he was always concerned to reuse paper when possible, and he gave her this sheet—on the back of which was a page of his first handwritten draft of “The Origin”. Happily, the exhibition was absolutely packed with visitors. It is well constructed to be accessible to people with little knowledge of biology or evolution, but sufficiently in-depth to satisfy the obsessive, geeky biologist! And yes, I bought the t-shirt and the fridge magnet! The magnet is a rendering of the image in one of his notebooks, depicting his first conception of the "tree of life". The exhibition goes till 19 April 2009, so if you are even faintly in the vicinity of London before then, attendance is compulsory.